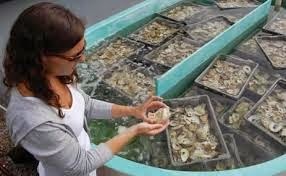 Seasonal Technicians: Rutgers University Shellfish Research Laboratory and the New Jersey Aquaculture Innovation Center. Laboratory and field-oriented positions in several areas of shellfish biology including aquaculture, genetics, physiology, and parasitology. Position start dates from February through May 2015. Salary $11.00-$11.50/hr ($440-$460/week).